Glass is the material indispensable to modern architecture which can bring a bright light to interior space and can extend the view to outside environment clear according to the feature of a hard material with transparency while playing the role which protects people from temperature, humidity, noise, etc. The future space with glass has the power of giving people freshness and impression in which has transparency while shutting to outside. 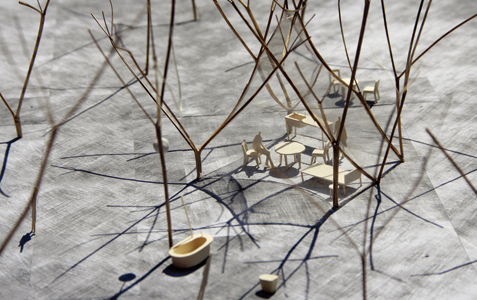 7 young architects aged under 30 who are expected future activities propose architectures in the nominated design competition and the exhibition shows the architecture models which tried new usage with glass. 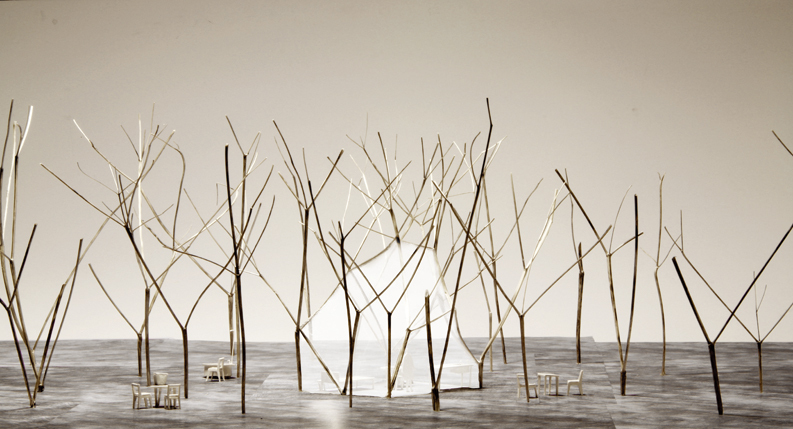 The proposal which won the first prize in the competition is realized as the architecture model which made with glass. On the theme of "glass architecture with various lights," the exhibition shows the possibility of the glass architecture in the future by expecting the proposal that read the characteristic of glass from the new viewpoint. 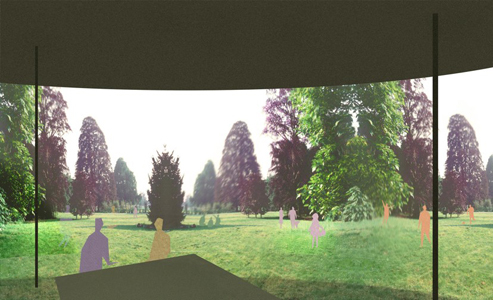 Three pairs of young architects were elected to the second examination of "Glass Architecture Competition". In the first part, they will give a presentation about the proposal of the competition. 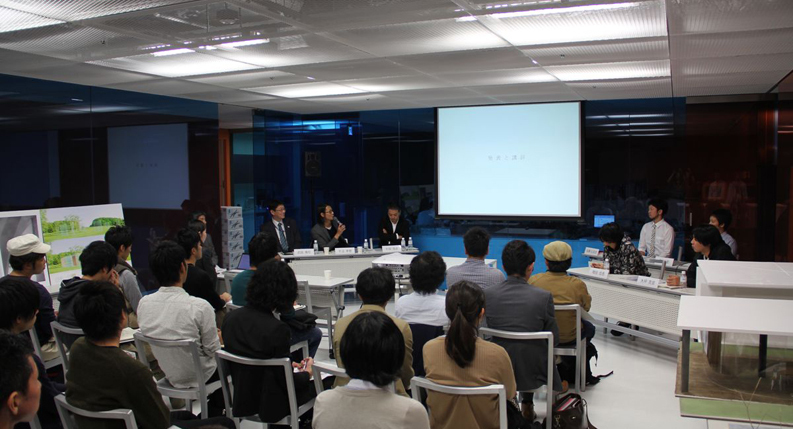 In the second part, Mr. Shunsuke Kurakata as the moderator, ask them a potential of architectural glass and in the future. We will welcome Architects around 40 to the guest, and explore the possibility and nature of glass architecture of the future. Art and Architect festa, the limited competition design by 7 sets of builders aged 30 and below was carried out. 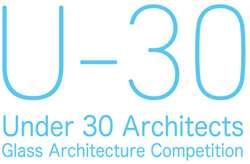 In this design competition, the proposal of the construction of the way and expression with new glass to be used was collected from 7 sets (U-30 exhibition exhibition person) of young builders aged 30 and below. 13. Nov. 2011、In final review, open examination of three primary examination passage works was performed, and the highest award was determined. Glass, the most of artifact thing. The spece between treen in forest, the most natural place. 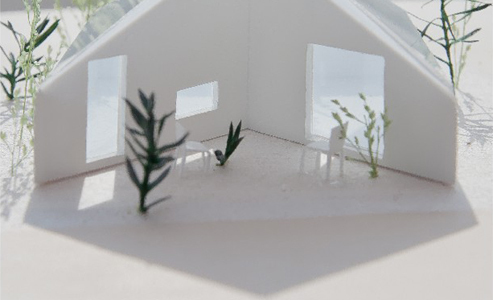 Both dsen’t have exact shape.We imagined to realize such natural space can be a house by using glass. Hiroshi KATO is born in Tokyo in1981. 2000-2004 Musashi Institute of Technology, 2004-2010Sou Fujimoto Architects, 2010-2011 COBE/Copenhagen, 2010 KATO＆Victoria. Victoria Diemer is born in Copenhagen in 1983. 2003-2009 Aarhus School of Architecture, 2009-2010 Sou Fujimoto Architects, 2010 KATO＆Victoria. Using the extreme thin glass (0.1mm thick, developed for liquid crystal display) as the border of spaces, the border would be much lighter, vaguer so that we would feel as if we were in a bubble floating with the wind and vibrating with the sound. Light, taken in from outside, is brought back out again. This makes a situation of “sunlight shining from the building”. A new perspective of the existence of light and glass is formed, as well as insertion of a new factor to connect inside and outside. This factor is a new way to expand closed architecture to the outer environment. Glass plays the role which protects people from temperature, humidity, noise, etc. according to the special feature of a hard material with transparency. Glass is an existence indispensable to the modern architecture which can bring a bright light to interior space and can extend the field of view to outside environment clear. 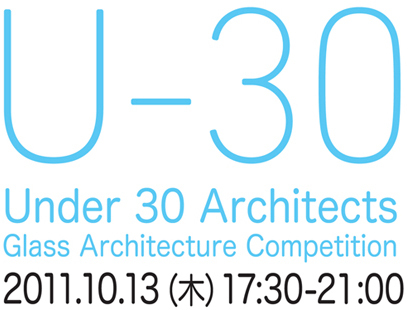 In this design competition, the proposal of the construction of the way and expression with new glass to be used was collected from 7 sets (U-30 exhibition exhibition person) of young builders aged 30 and below. Structure is not limited. We ask for the proposal of the architecture which interpreted the characteristic of glass newly. We expect the proposal which made the keyword usage with new glass, effective practical use of light including lighting, necessity of glass, etc. And, please give as a proposal of a building realizable with the present technology as much as possible. Born in Tokyo in 1968. Established "Design Neuve" in 2000. 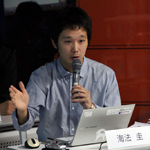 Researcher of "Center for Sustainable Urban Regeneartion, the University of Tokyo" in 2003-2008, current position since 2009.Researching the world's urban renewal cases by the placement theory of architecture and public space. 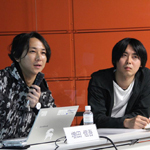 He is the author of "Materiality provoke in SD May 1999 issue", "INVISIBLE FLOW - Building Energy Conservation Guide", "10+1 #31 Compact city study" etc..
His major works are "DUET","guest house Kugahara"and the video work "PopulouSCAPE". 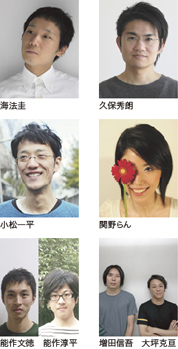 Co-hosted "Tokyo Picnic Club" since 2002. Born in Osaka in 1971. He had been to Britain to study at AA school London Diploma. In 1999, established "Hs WorkShop-ASIA". 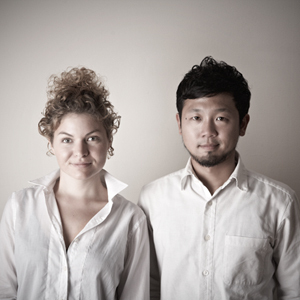 In 2009, established "Kohki Hiranuma Architect & Associates". 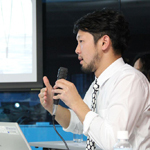 His major works are a single house divided into some spaces "time & space house", environment-building "Space Lab" in the University of Tokyo, and etc..
"Grand Design International Architecture Award (England)" and so on. A parking lot is not in a studio. Please use the pay parking lot around a studio. Copyright 2011 Art & Architect Festa. © AAF All rights reserved.